If you’ve just got your iPhone X, or have had it for a while, there are many, cool accessories to grab to complement your phone. 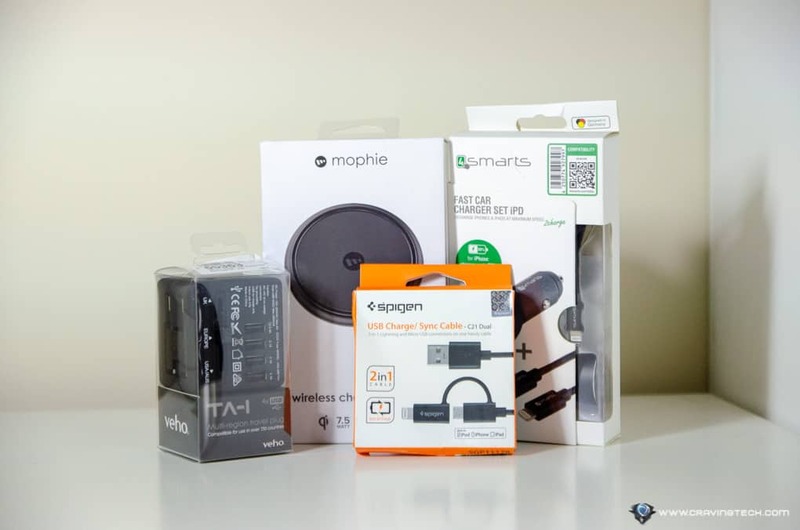 Today, we are having a look at 4 iPhone accessories from Mobile Zap / MobileFun to supercharge your iPhone. When Apple announced the wireless charging capability on the iPhone 8/8 Plus/X, they recommended Mophie Quick Charge Charging Pad and I can see why. 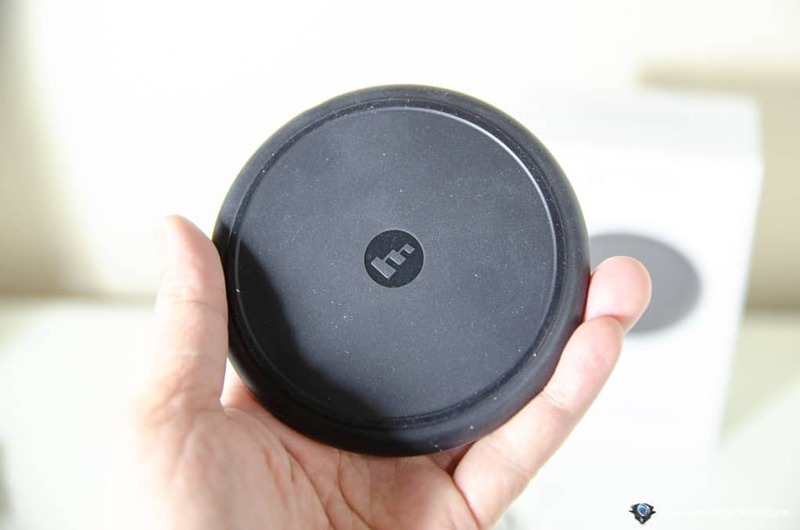 It definitely feels more solid and durable compared to the other charging pads I’ve reviewed. Its size, materials used, and the feel is superior. The design also looks pretty sleek and elegant on the desk. It’s capable of delivering 7.5W of power, which is a fast charging enabled by Apple at the end of last year. 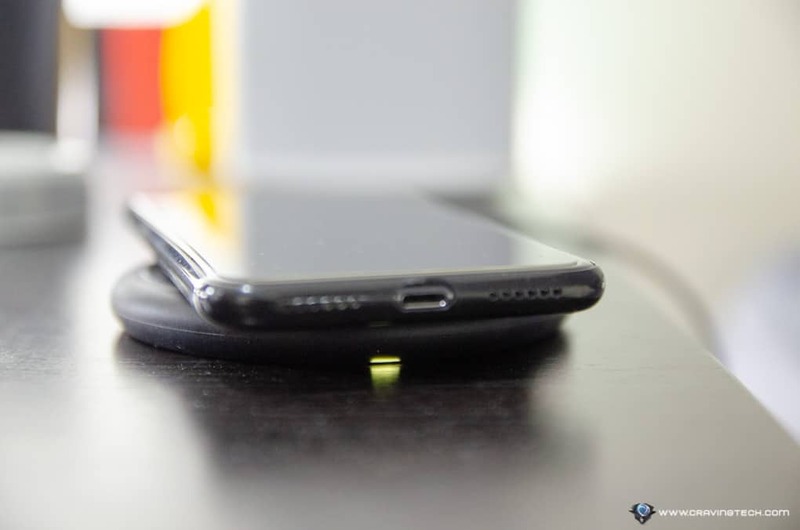 With a minimalist look, there is only one tiny LED to indicate whether it is currently charging the device on top of it. Though it may be harder to see compared to other charging pad, it will not shine brightly into your eyes when you are trying to sleep and so far, I find that Mophie Quick Charge is always able to charge my iPhone X successfully (i.e without trial-and-error when placing the phone). 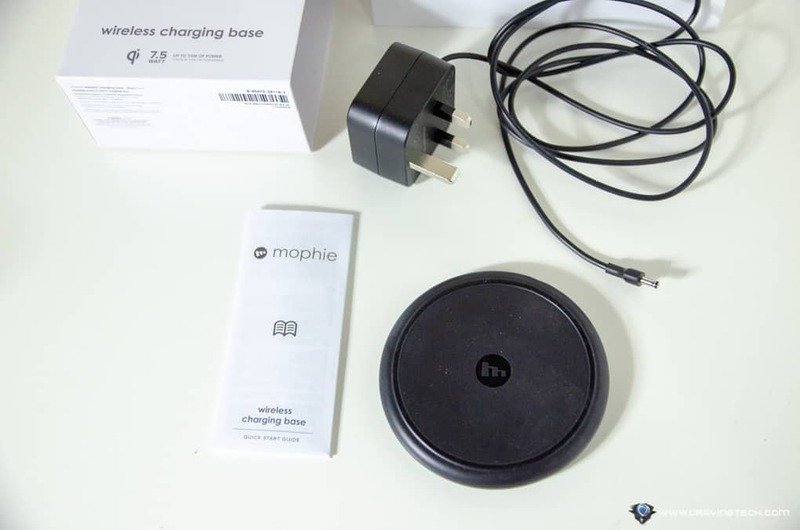 Mophie Quick Charge charging pad also works on other Qi-enabled smartphones like the Samsung Galaxy Note 8 or newer devices. The Mobile Zap version comes with a UK power plug though (as it’s sent from mobilefun.co.uk) so you need to have a spare UK to AU adapter. Are you an Apple fan and only swear that you’ll use Apple devices like an iPhone, iPad, and a MacBook? 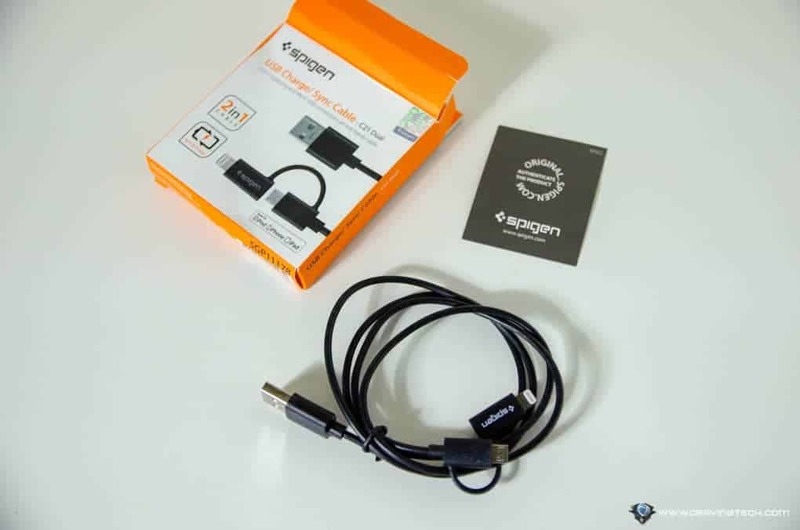 That’s great, but chance is that you will also own devices which require a microUSB cable to charge (such as your Bluetooth devices, or perhaps a backup Android phone). 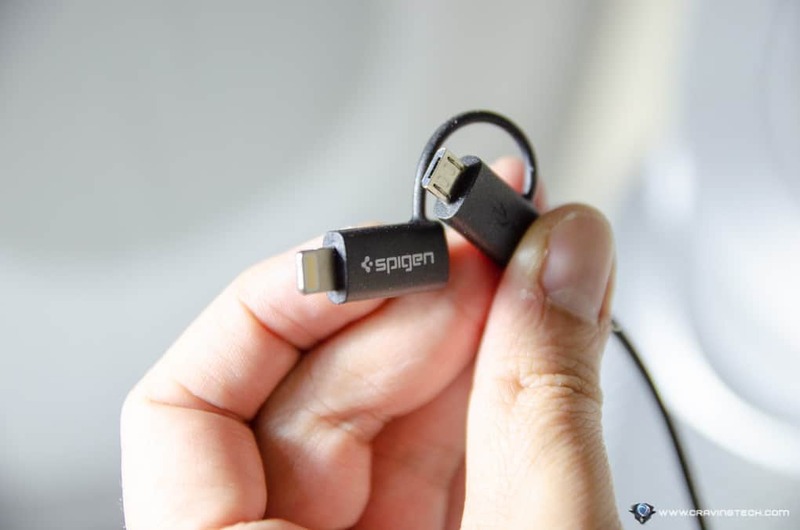 Rather than having to use and carry 2 cables, Spigen has a nifty solution with their Spigen 2-in-1 Dual Cable with Micro USB and Lightning Adapter. 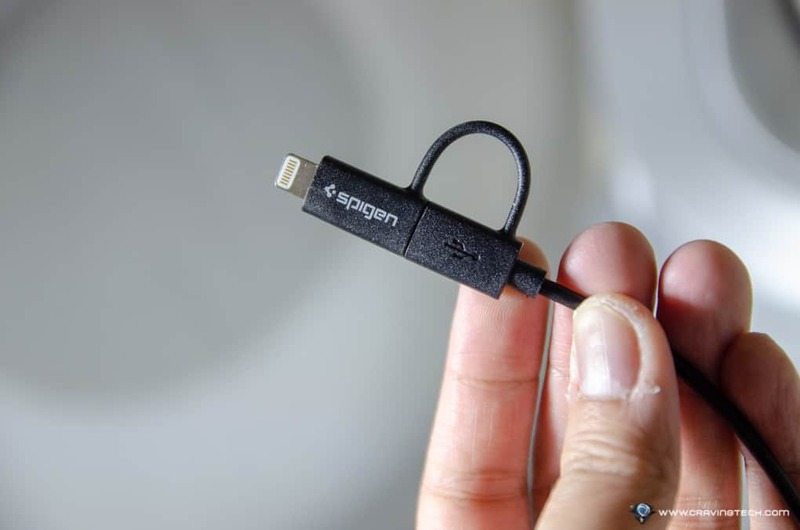 It’s technically a microUSB cable but there’s a Lightning adapter attached to it so you can quickly transform it into a Lightning cable. It’s a simple, yet smart solution for those who don’t want to clutter their home and bags with multiple cables. I wish the cable can be longer, but most people are happy enough with its 1 meter length. Most car these days have at least a USB slot for you to plug your phone in (as a media player, or just to charge). However, it doesn’t output good enough power to charge your phone quickly. If your phone is running flat and you are not going to drive for hours, chance is that your phone will not be fully charged by the time you arrive at your destination. 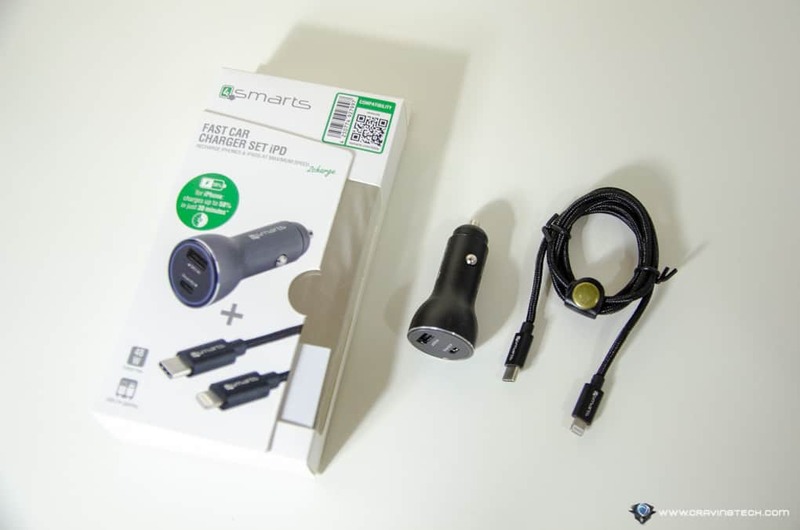 This fast car charger from 4smarts does what it says – it charges fast. According to the specification, it can charge your iPhone X/8 Plus /8 up to 50% in just 30 minutes, thanks to the USB-C port and cable that are capable to deliver up to 36W of power smartly. 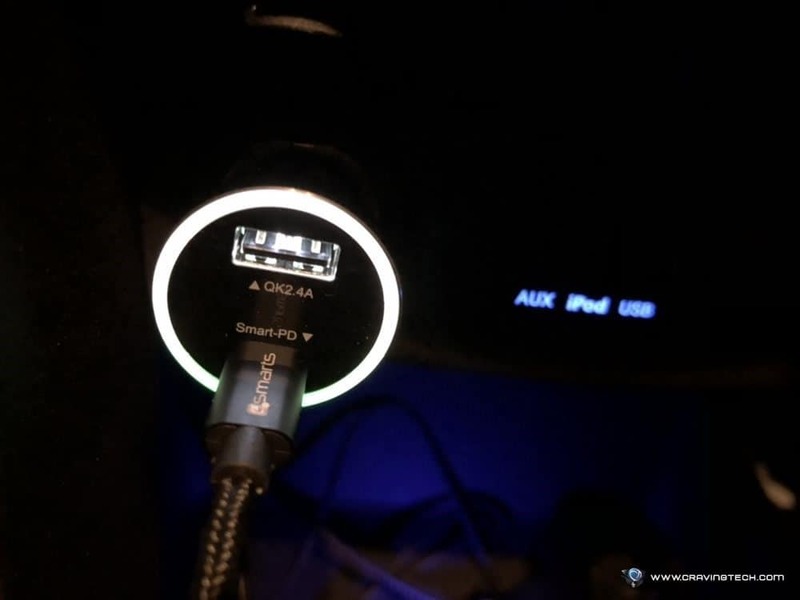 If you happen to have an iPad or even a USB-C compatible MacBook, you can also charge them in the car! 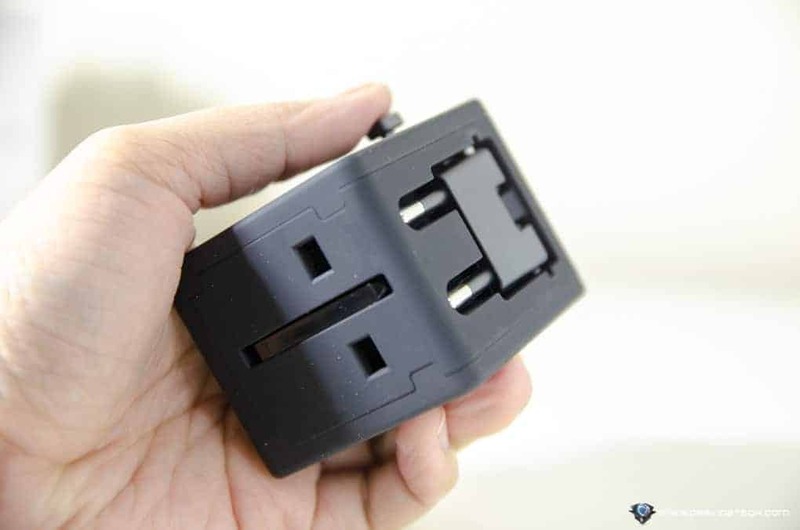 With intelligent charging, it will detect which device is plugged and deliver the right current so not to overcharge. 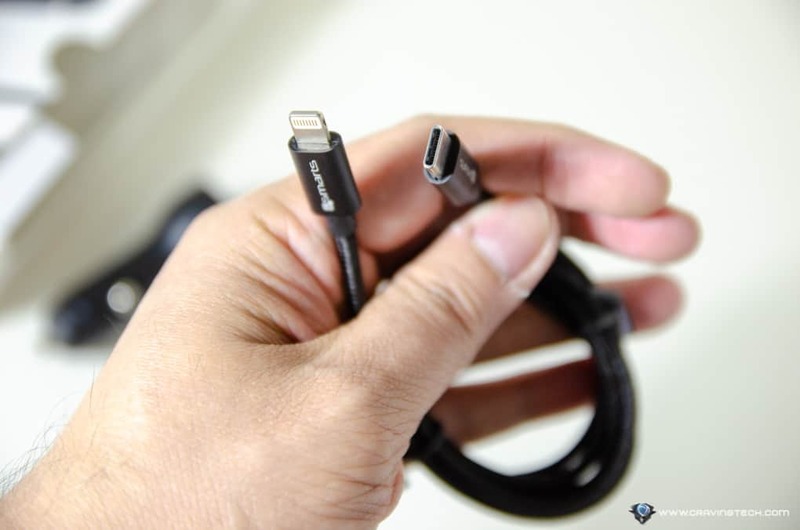 I’m also surprised that they even include a USB-C to Lightning cable in the packaging. And if you have other non-Lightning devices, you can still make use of it to charge as it also provides an extra USB port with 2.4A. When I travel, I’d always carry a portable, Australian powerboard with a couple of USB slots on it. This way, I can use it to charge both my laptop and phone at the same time. But if you travel often and to many different countries around the world, things get interesting. 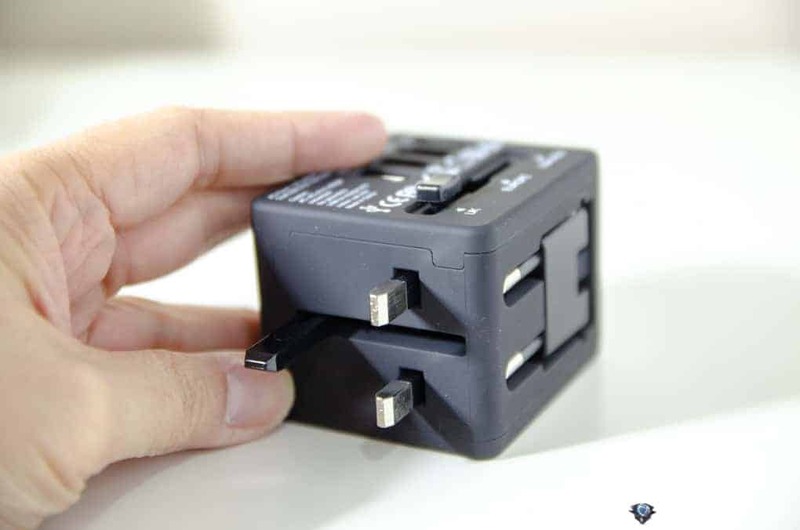 You’ll have to juggle between buying different adapters and sometimes, powerboard takes a good amount of space. 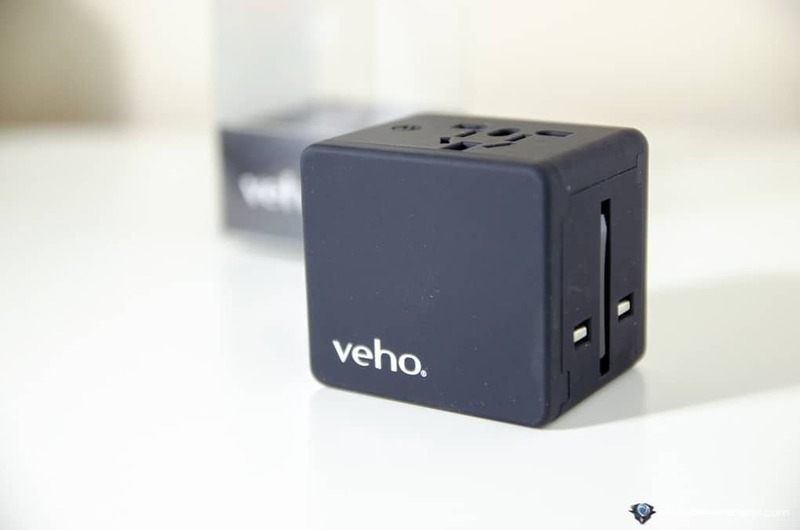 While I surely won’t call this Universal 4-Port USB World Travel Mains Charger from Veho compact, it can go to your cabin bag/backpack and has everything in one. 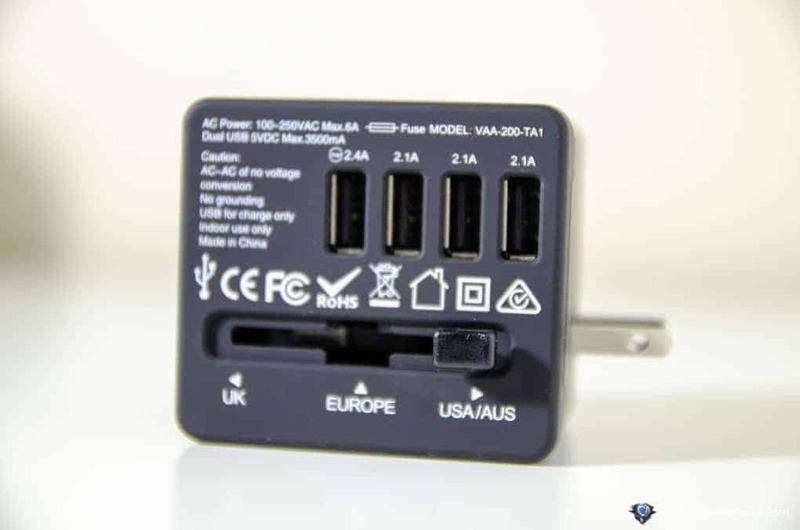 It’s an adapter that supports multiple countries such as UK, Europe (and some countries in Asia like Indonesia), and USA/AUS. To change USA to AUS, you simply twist it sideways. Sadly, it can only be twisted in one direction so it may not work with some wall power sockets that are too close to the ground (i.e depends on the orientation). But it works great and it works well. With 4 USB ports, you can charge multiple devices at the same time. 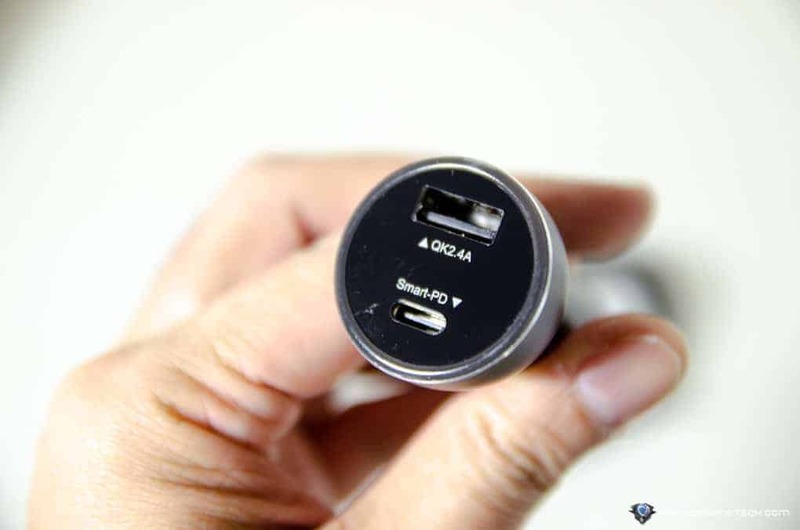 One USB port offers 2.4A which will fast charge your phone. 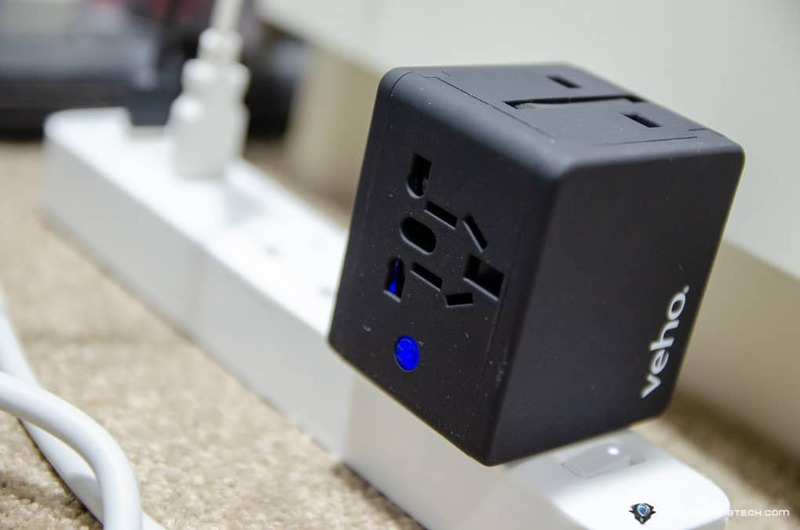 While plugging multiple devices is cool, note that it can only output power of up to 3.5A. If I’m not mistaken, you shouldn’t plug too many devices as power will then have to be shared and it will charge them slower. Again, this thing is very handy to carry while you travel as it can be used to plug your laptop to work, while making the USB slots available to charge your other devices. I always carry my ASUS ROG GL502VT laptop, iPhone X, and Bose QC35 noise-cancelling headphones when travelling and having Veho TA-1 Universal 4-Port USB World Travel Mains Charger 3.5A around means I can always keep them charged, where ever. Previous articleXiaomi Roidmi F8 vs Dyson V8 – Which one to buy?